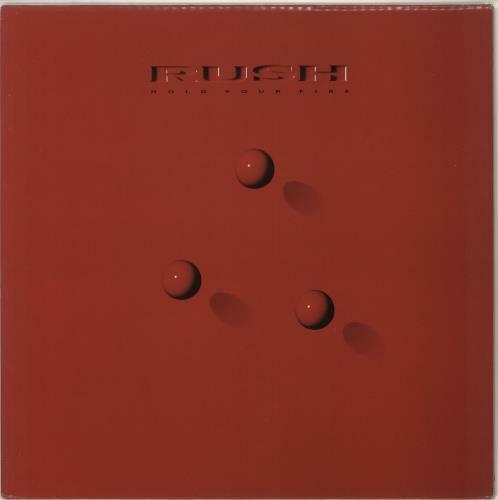 RUSH Hold Your Fire (1987 UK 10-track stereo LP of essential third phase Rush! gold promo-stamped picture sleeve with picture/lyric inner. The sleeve shows minimal wear and the vinyl looks barely played VERH47).